Old news: Facebook Page posts get lame donkey reach of about 1-2%. Thanks, Facebook algorithm update. Blech. Great news: Facebook Messenger chat blasts get 80% reach. Now that empowers marketers to create a meaningful customer relationships. 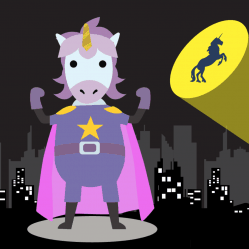 Today I’m going to show you 3 easy hacks to convert your Facebook Page fans to Messenger contacts you can message for blazing unicorn engagement in persistent chat conversations with MobileMonkey. When you connect to your audience on Messenger you can send messaging that’s relevant, conversational, engaging and ongoing. 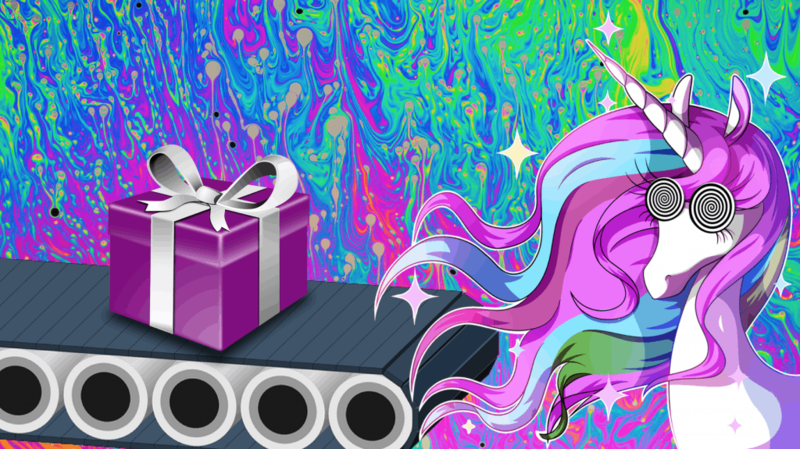 Is there a way to send messages to people who like your Facebook Page? The solution: You can invite them to connect on Messenger! 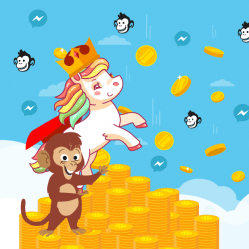 Run click-to-Messenger ads targeting Page fans. 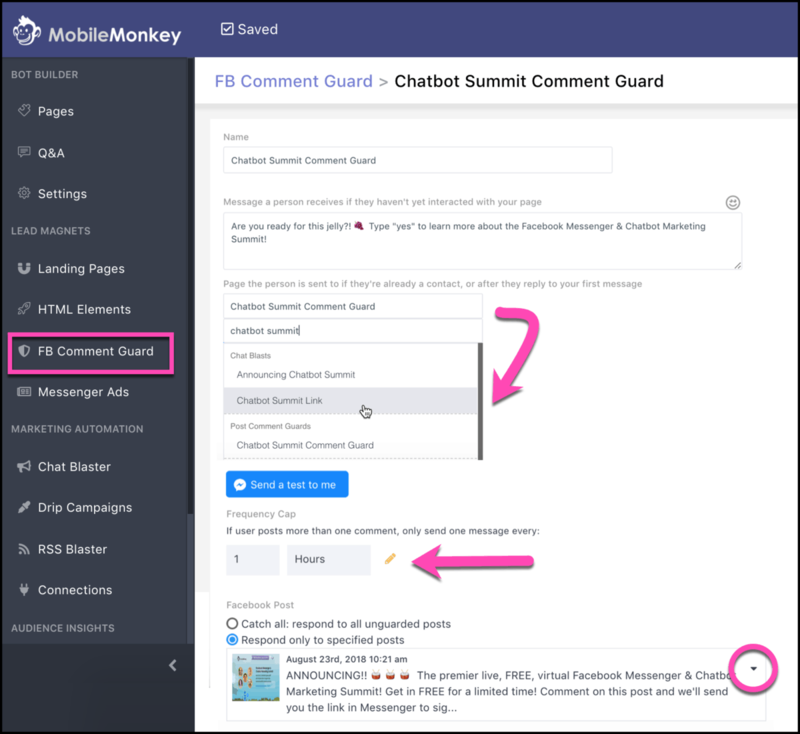 Use a Facebook Post autoresponder to automatically engage commenters in Messenger conversations. Update your Facebook Page CTA to “Send Message”. 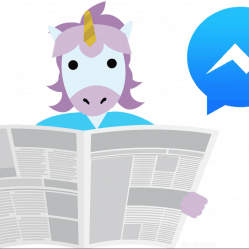 This is your step-by-step guide to executing these 3 hacks for Facebook Messenger contact list growth, inviting fans of your Facebook Business Page. 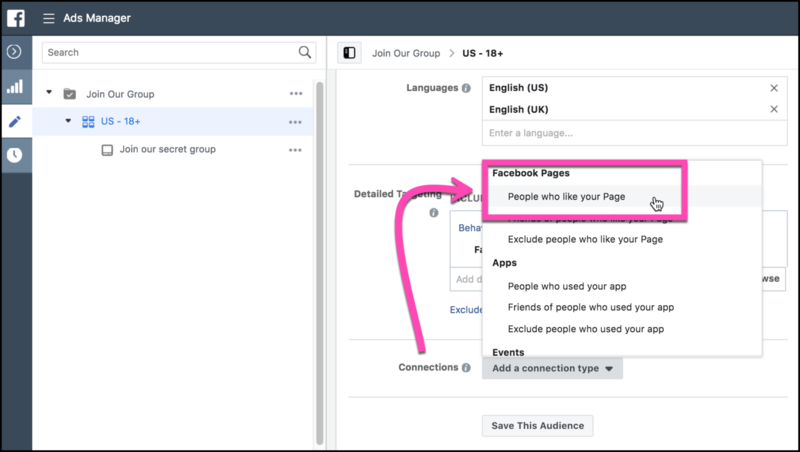 Facebook marketers can do send-to-Messenger ads where the targeting is a Page’s fans. Once they click on that ad and message your page they become a contact. Experience a Facebook Messenger ad for yourself by clicking “Show in News Feed” here. Create a chatbot that responds to someone who clicks “Send Message” in your ad targeted to your Page fans, engaging new contacts with a conversation. After first contact in Messenger, the person is saved in your MobileMonkey contacts database and you can send follow-up messaging. 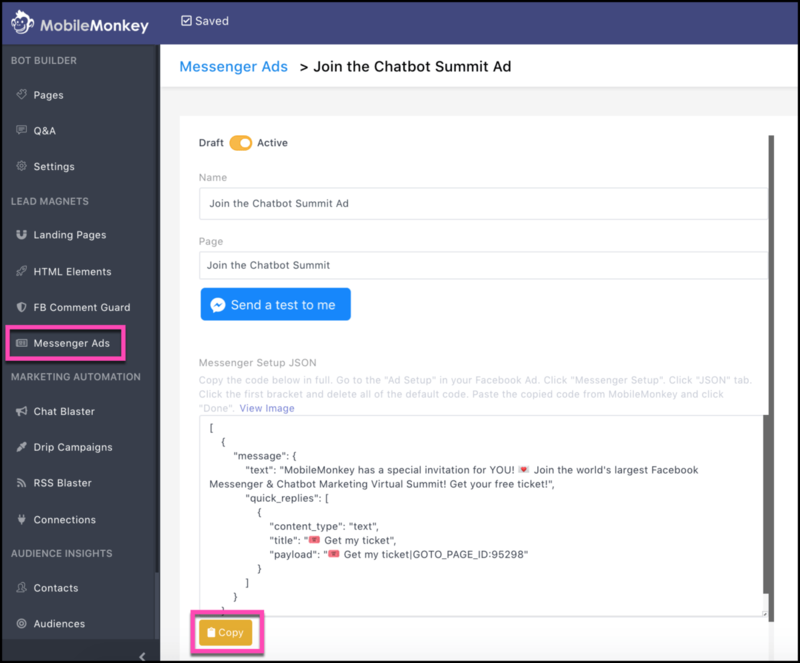 The full 5-step guide on how to set up a Facebook Messenger ad with a chatbot in MobileMonkey has all the copy-and-paste detail. Most of the people who comment on your Facebook posts are your Page fans, naturally. What a Facebook post autoresponder does is automatically send a message in Messenger to someone who posts a comment on your Facebook content. Immediate engagement built right into your Facebook content! Love it. And Messenger connections you can send follow-up messaging to! Brilliant. 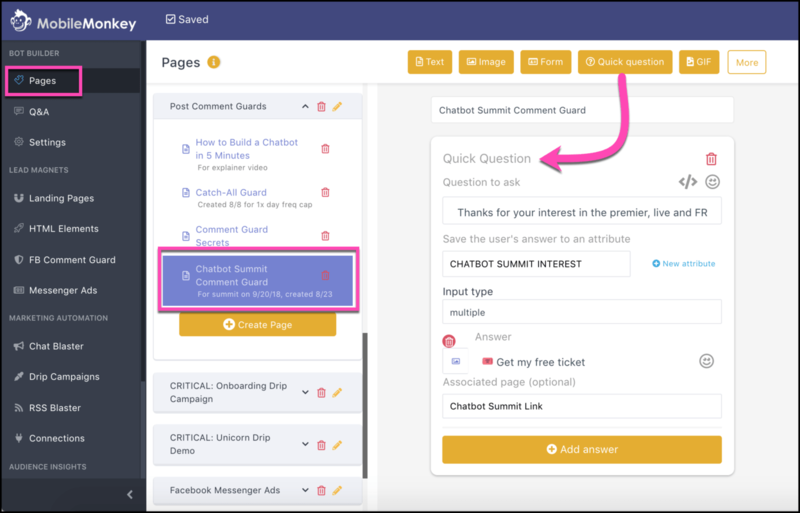 See the Facebook post autoresponder we designed for this post about our upcoming chatbot marketing summit. The simple guide to creating Facebook post autoresponder that will turn your post commenters into new contacts is here. 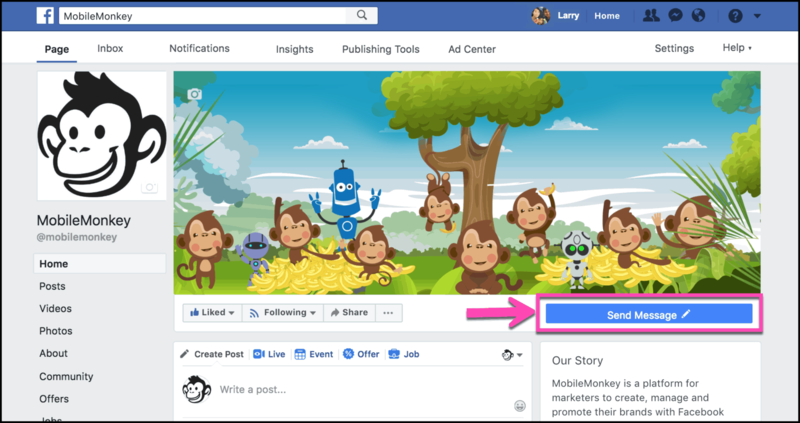 And finally, if you’re wondering, “Can I message people who liked my Page from MobileMonkey?” ask them to send you a message with your CTA button. 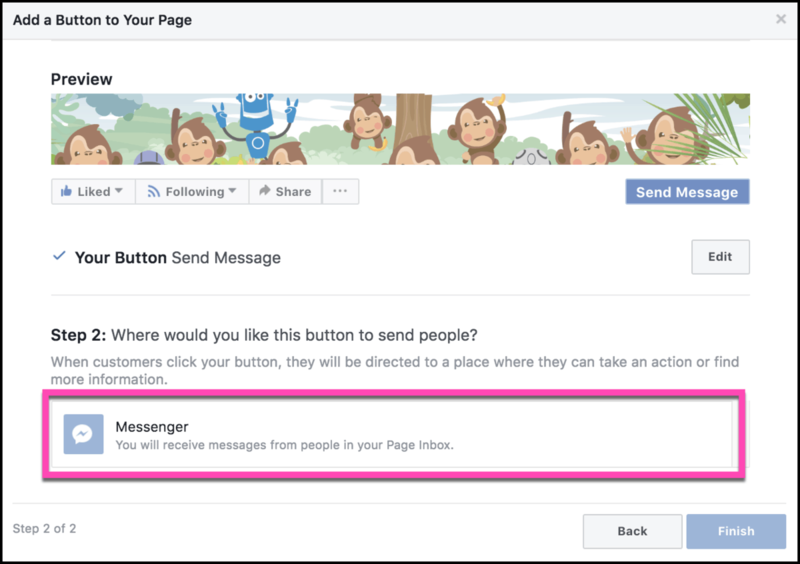 Now when your Page fans send you a message by clicking the primary CTA button of your page, your Messenger chatbot will reply with your welcome page, and you’ll have a new Messenger contact you can send follow-up messaging to. 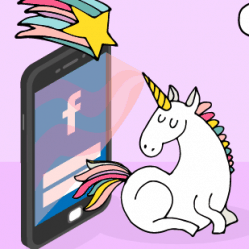 I hope this was a helpful look at how to convert your Facebook Page fans into Messenger contacts that you can send awesome chat blasts to. 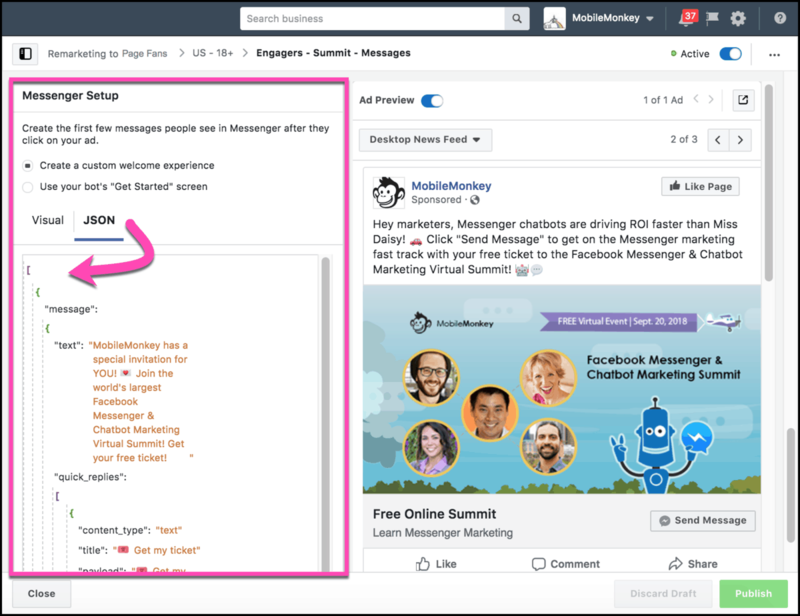 Actionable content like this and so much more will be shared at the Facebook Messenger & Chatbot Marketing Virtual Summit happening Sept. 11. 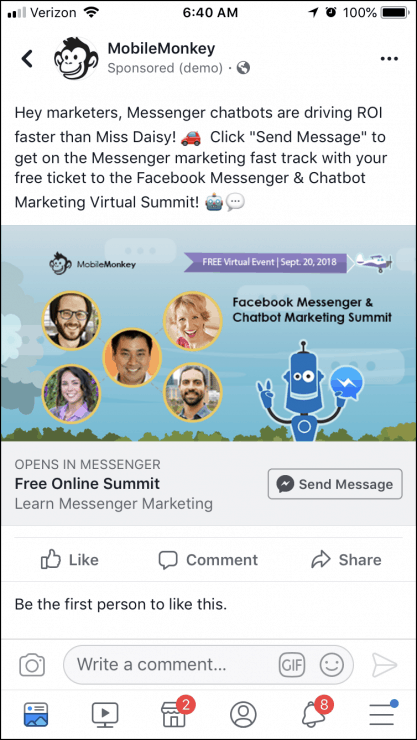 Be sure to get your free ticket and join 3000 other Facebook Messenger marketers as we get in on the ground floor of the chatbot marketing groundswell! 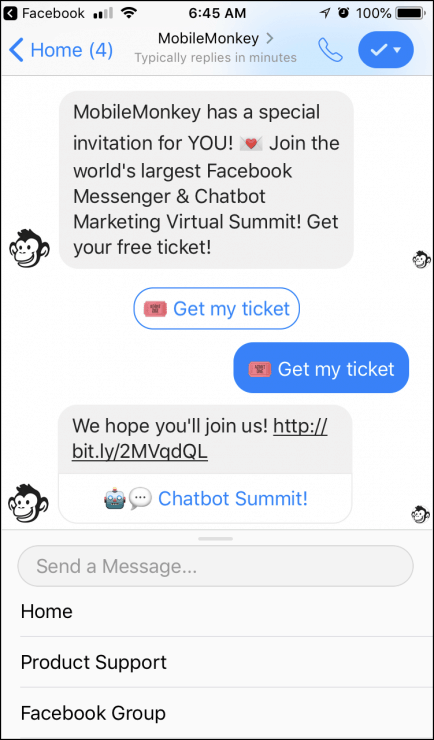 Get your free ticket to the Facebook Messenger & Chatbot Marketing Virtual Summit on Sept. 20.